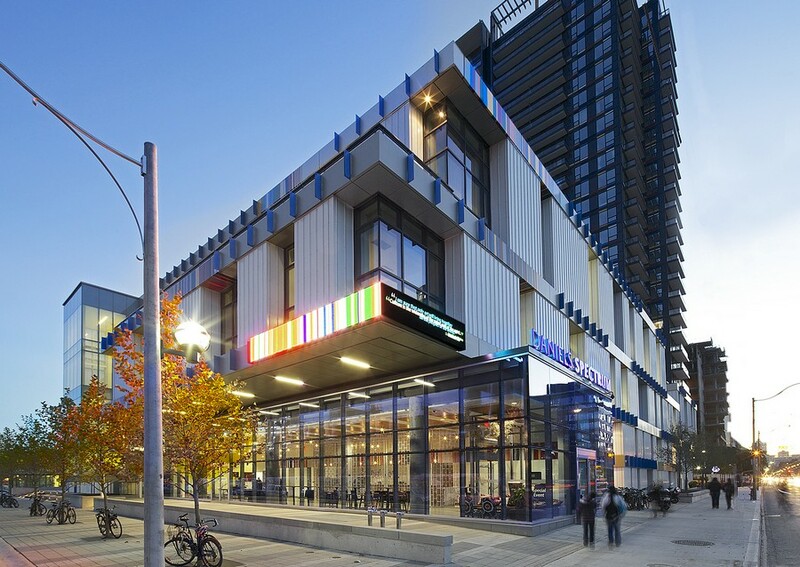 Daniels Spectrum, the transformative cultural centre at the heart of a regenerated Regent Park community in downtown Toronto, received a Civic Trust Award at a ceremony at The Globe Theatre in London, England. The longest standing built environment awards program in Europe recognizes projects that demonstrate excellence in architecture, sustainability, universal design and make a positive social, cultural, environmental or economic benefit to the local community. Daniels Spectrum was the only award winner from Canada and one of two from North America among a global roster of 32 projects. Designed by Diamond Schmitt Architects, Daniels Spectrum provides professional performance, rehearsal, learning and social enterprise space for community-based arts and cultural groups. Operated by the non-profit Artscape, the colourful 60,000-square-foot LEED Silver certified facility is highly versatile and tenant groups worked with the architects to design their studios with their audiences in mind. 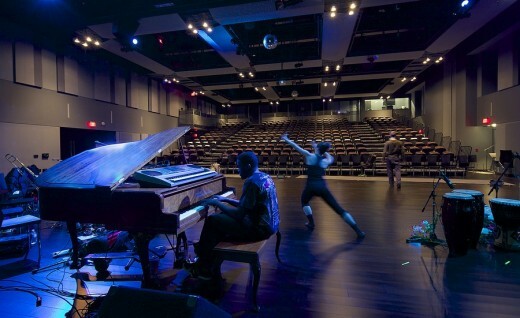 “Native Earth Performing Arts has a unique ventilation system to allow smudging in Aki Studio, a 120-seat black box theatre, ArtHeart Community Art Centre has a built-in kitchen so they can provide free meals for drop-in participants, and COBA Collective of Black Artists’ drumming and dance studios have sound-isolated performance space and a separate box office and entrance,” said Seema Jethalal, Managing Director of Daniels Spectrum. Other resident groups include the Regent Park School of Music, Pathways to Education, Regent Park Film Festival and the Centre for Social Innovation. Daniels Spectrum has previously been honoured with a Good Design is Good Business Award from Architectural Record Magazine in 2014 and Best New Venue in Canada for Meetings and Events from the BizBash Event Style Awards in 2013. It is named for The Daniels Corporation, the developer in partnership with Toronto Community Housing Corporation revitalizing the 69-acre Regent Park, Canada’s largest post-war public housing project, with 5,115 rent-geared-to-income and market rate residential units and amenities.